Love is in the air. 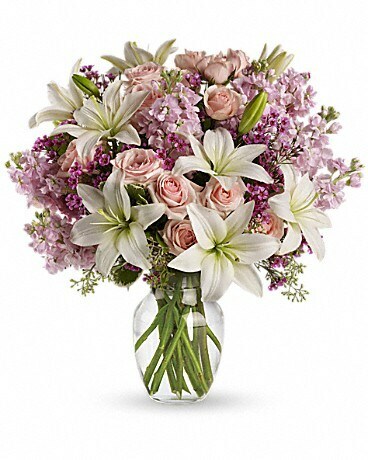 Or if it isn't, it will be when you surprise her with a gorgeous array of light pink spray roses, fragrant white lilies and other favorites in a sparkling glass vase. You know when she'll love it the most? When it's a total surprise. 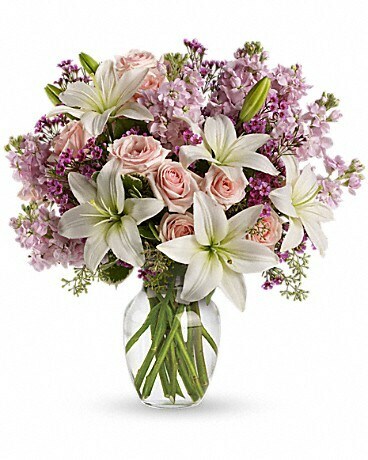 Love her tenderly with gorgeous pink roses, fragrant white lilies and more in a dazzling glass vase. She'll adore it. 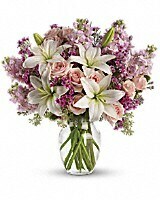 This stunning bouquet also makes a charming gift for birthday, get well, thank you or just because. The more occasions, the merrier. 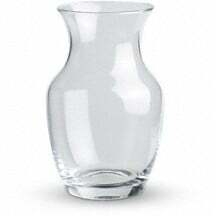 It looks heavenly with light pink roses, smells heavenly with fragrant white lilies and will bring a little bit of heaven into anyone's life. Perfect for your significant other, and for such significant others as mom, sis and daughter. Make their week.